Mar-Jac is a fully integrated poultry production company operating in GA, AL, and MS. Mar-Jac was established in 1954 and has been supplying high quality poultry products ever since. Mar-Jac ships poultry products worldwide with an emphasis on the domestic food service industry. The Company has constructed a feed mill facility in Phil Campbell, AL – a rural low-income community that was devastated by an EF-5 tornado in 2011 that killed 27 local residents. The Project supports the local community’s continuing efforts of rebuilding Phil Campbell. The $35 million investment in the Project has already spawned additional company investment in the form of a $25 million hatchery built by Mar-Jac, located within a mile of the feed mill. The Project is strengthening the local trucking industry as it requires more than 150 truckloads per day and helps the community diversify its economic base. 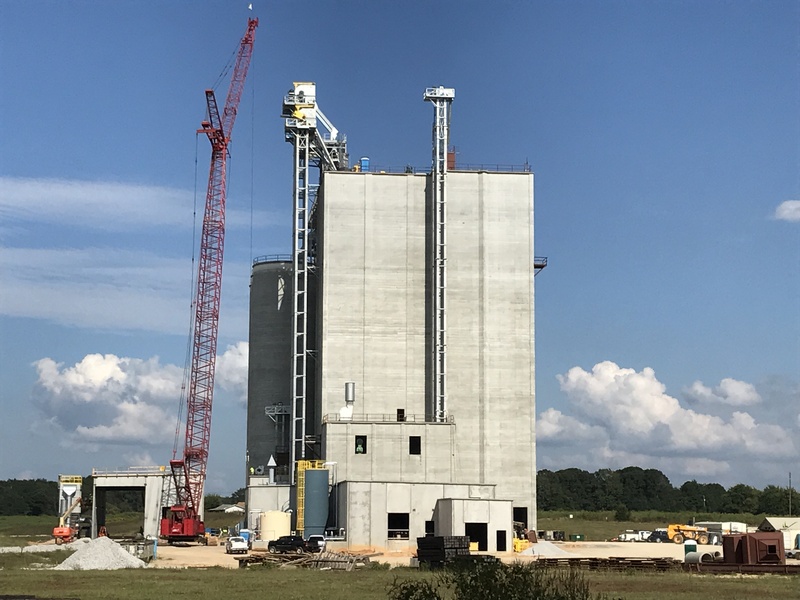 The new feed mill in Phil Campbell, AL (Appalachian Regional Commission Service Area) is located in the middle of Mar-Jac’s network of grower houses to economize the feed delivery. 200 additional houses will need to be constructed by approximately 40 new growers. The average investment by each grower is $500,000. The new growers and existing growers are supplied chicks from Mar-Jac hatchery being concurrently constructed in that community. The mill will produce more than 10,000 tons of poultry feeds per week. This level of production not only supports local/regional farmers who grow and supply various feed ingredients such as corn and soy beans, but it also provides local/regional poultry farmers with optimal nutritional formula for healthy growth of chickens. Economic: In addition to the component feedstock inputs to produce 10,000 tons of feed weekly, this project has already generated an additional $25 million investment in a hatchery within a mile of the facility that will also support its network of growers. Additionally, it will support approximately $10 million in new investment from the small family farmers that the facility serves. Jobs: This project is creating 35 new full time jobs as well as a large volume of indirect and induced jobs. Additionally, 100 construction jobs were created. Community: Mar-Jac has worked with a variety of local constituents including Franklin County Alabama for infrastructure and local rail safety improvements and recruiting of workers and growers into its network. Workforce Development: Mar-Jac has committed $140,000 to local workforce development efforts including scholarships, internships and other activities targeting high schools, local community colleges and workforce programs.